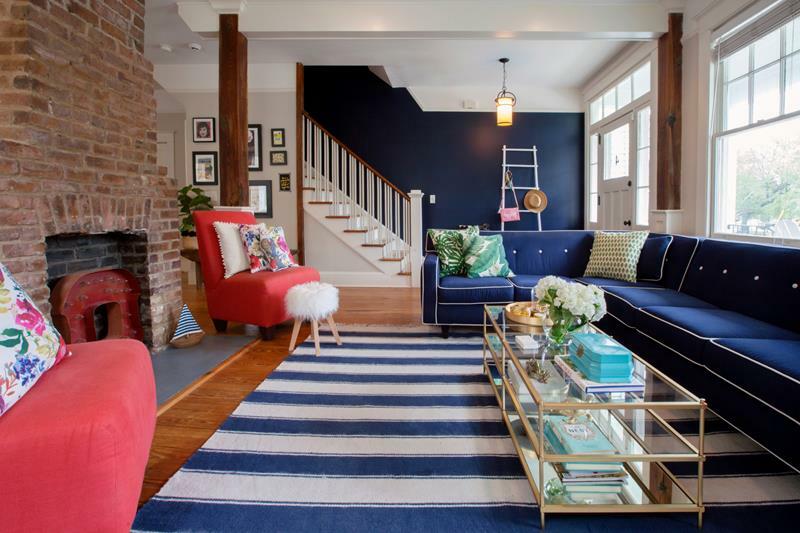 Home design projects are great fun because you get to put your personal tastes on display, and when you think about the best places to start implementing your ideas, the first place that comes to mind is the living room. It’s the most visible of the rooms in your home and demands the most attention. 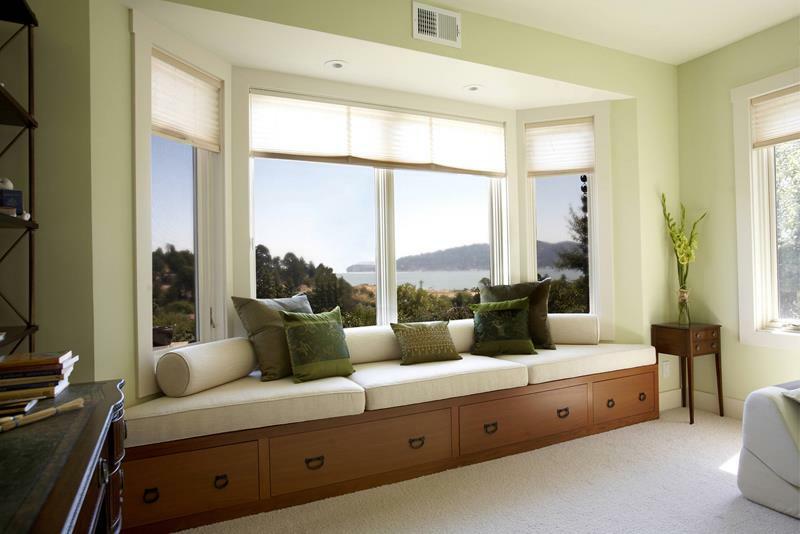 Elements of design that make your large living room larger are using large windows and doors to let in natural light. Having light to medium colors on pieces also adds to the grandeur of the room. Vaulted ceilings make your living room especially impressive have accents that separate the room itself from the ceiling such as exposed beams. The 20 design photos you see below will inspire you to create an unbelievable living room that your friends and family will enjoy spending time in. We’re confident these photos will be great inspiration. 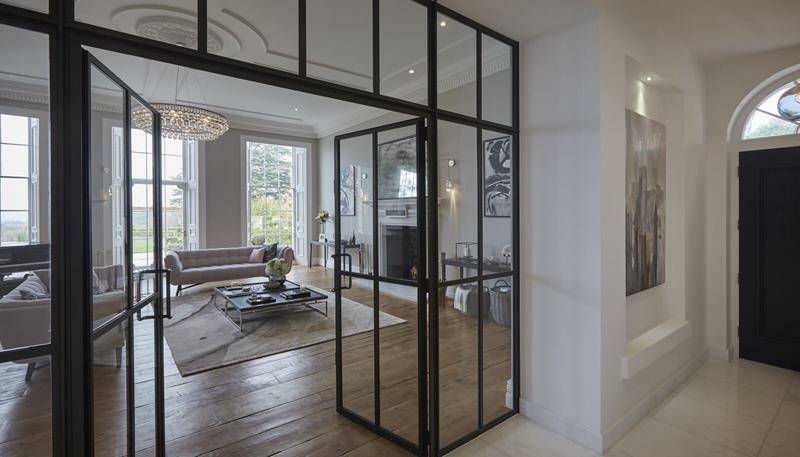 The glass doors and windows in this living room make the whole place sparkle. Light floor and soft accents keep it easy, breezy beautiful. This living area, combined with extra living space and the kitchen will delight you and your guests. Plenty of room to enjoy! This living room has great views to the outside, and a great view inside too. Dreamy drapes and comfy furniture are perfectly complemented by the wood beams and warm lighting. What a gorgeous view out of this bay window. Comfy seating lets you enjoy that view for hours. Framed in green for a sunny outlook every day. The large windows in this living room bring that blue sky into your home. Comfy seating and adjoining dining space make entertaining effortless.